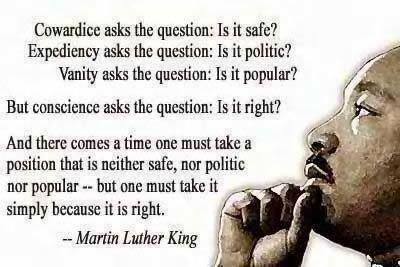 What is going on right now in our Country is NOT DEMOCRACY!!!!! "Extrapolating the historical rate of health care spending growth relative to GDP growth into the future, however, produces projections that are implausible: by growing 2 percent faster than GDP over 75 years, spending on health care would consume virtually the entirety of our national income. 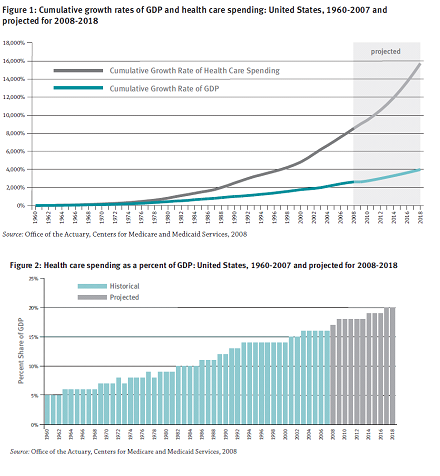 In order to make more plausible projections, CBO assumes that the growth in spending will eventually slow down over the period of 2020 to 2083, to an average of about 0.8 percent faster than the growth of the GDP.3 Under these assumptions, CBO projects that health care's share of the GDP will double from 15.2 percent in 2007 to 31 percent by 2035, grow steadily to 37 percent by 2050, and to an astounding 46 percent of the total economy by 2080." The Patient Protection and Affordable Care Act was passed democratically and established into law March 23, 2010. We the People need "Patient Protection and Affordable Care" to sustain and "promote the general welfare." "Patient Protection and Affordable Care" reform is by definition "promote(ing) the general welfare." In essence healthcare as just a component of "the general welfare" was and IS, unimpeded, on a course to consume at least 46% if not 100% of GDP by 2080; that is unacceptable!!!! Now if the Tea Party/Republicans/GOP or anybody else has a better plan than "The Patient Protection and Affordable Care Act," let them get it passed into United States federal statute LAW. A law you oppose gets passed into law and you then defy the Constitution's 14th amendment's REQUIREMENT, "The validity of the public debt of the United States, authorized by law…, shall not be questioned." attempt to first defund it while holding the ENTIRE economy hostage to your unsustainable demands. And then you try repeatedly to get the ABSOLUTELY IMMUNE, ALL POWERFUL, ABSOLUTELY CORRUPTED Supreme Court to unreasonably VOID the "necessary and proper" "sense and reason" of the ex industria statute laws. THIS IS INSANITY not democracy!!!! And then imagine where we would be 130 years later if SEGREGATION had been defeated DEMOCRATICALLY as the result of the 646,392 deaths in the Civil War, the 13th, 14th and 15th Amendments and the Constitutionally authorized ex industria statute laws of our representative democratically elected LAW MAKERS intended in 1875!!!!!! Please do not let "supreme court" RULE!!!! The Supreme Court has no authority to defeat the "necessary and proper" thus constitutionally authorized "sense and reason" of the ex industria statute laws of We the People!!!!!!!!!!!!!!!!!!!!!!!!!! The Judicial sophistry  of "absolute immunity" creates "absolute power" to the ABSOLUTE CORRUPTION  of We the People's unalienable rights under color of law... a "fantastic or delusional" scenario. "As long as rulers are above the law, citizens have the same type of freedom that slaves had on days when their masters chose not to beat them." We are SLAVES to the Black Robed, Royalist, Article III, Supreme Court's assertion of "absolute immunity for all!!!! I am not the crazy one!!!! As examples of the Judicial sophistry, that has corrupted We the People's unalienable rights under color of law, I submit, Randall v. Brigham, 74 U.S. 7 (1868) the origin of judicial criminal sophisticated "absolute immunity," Bradley v. Fisher, 13 Wall. 335 (1872) origin of sophisticated Judicial civil "absolute immunity," Blyew v. United States, 80 U.S. 581 (1871) sophisticated "absolute immunity" for racially motivate mass murder, United States v. Reese, 92 U.S. 214 (1875) sophisticated deprivation of the 15th Amendment's Voting Rights protection with the subterfuges of poll taxes, literacy tests, and grandfather clauses, United States v. Cruikshank, 92 U.S. 542 (1875) sophisticated "absolute immunity" for racially motivated massacre (Colfax Riot/pogrom), United States v. Harris, 106 U.S. 629 (1883) sophisticated "absolute immunity" for the state's sanctioned kidnapping, assault and murder without regard to the 14th Amendment's security, Civil Rights Cases, 109 U.S. 3 (1883) creating sophisticated racial segregation and the ongoing Jim Crow discrimination over the "necessary and proper" "Act to protect all citizens in their civil and legal rights." 18 Stat. 335, enacted March 1, 1875, Plessy v. Ferguson, 163 U.S. 537 (1896) separate and UNEQUAL, clarifying sophisticated segregation over the necessary and proper "Act to protect all citizens in their civil and legal rights." 18 Stat. 335, enacted March 1, 1875, Pierson v. Ray, 386 U.S. 547 (1967) reaffirmed Judicial sophisticated "absolute immunity," Imbler v. Pachtman, 424 U. S. 409 (1976) prosecutorial sophisticated "absolute immunity," Stump v. Sparkman, 435 U.S. 349 (1978) sophisticated "absolute immunity" for forced sterilization, and Briscoe v. LaHue, 460 U.S. 325 (1983) sophisticated "absolute immunity" for "knowingly false testimony by police officers," and "all persons that were integral in the Judicial Process." If that is not ABSOLUTE CORRUPTION of We the People's intent to establish justice, I cannot imagine what is. "Immunity is given to crime, and the records of the public tribunals are searched in vain for any evidence of effective redress." "The courts are in many instances under the control of those who are wholly inimical to the impartial administration of law and equity." I say it NOW, Saturday, December 28, 2013!!! Justice William O. Douglas said it in 1961 and 1967. Mr. Lowe of Kansas and Mr. Rainey of South Carolina respectively said respectively said it originally in 1871 at the passage of the Civil Rights Act of 1871 (now codified in Federal Statute laws as Civil 42 U.S.C. § 1983 and 1985).